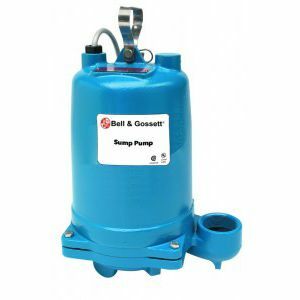 The 2EC Bell & Gossett effluent pump is built to last. The pump features a sturdy cast iron construction for long life and minimal maintenance and a non-clog impeller. The impeller is balanced for smooth operation and long bearing life. The pump design features an Oil filled motor which will provide the ability to run dry without damage to components. Unlike our competitors our wastewater pumps are designed for continuous operation while fully submerged and standard Silicon Carbide mechanical seals. This pump has proven itself in many applications from standard drain fields for residential service to commercial duty in building services markets.